It’s been a strange and exciting week here at Interesting Times! Click through for the story and some photos! Aloha! Two major things have happened that I never thought would happen, and almost didn’t happen! First: My art is in a gallery! In the last year, Winkler got an Arts & Culture space that has a small gallery for exhibitions. This is huge for a town that has, historically, not had a lot of time for arts and/or culture. 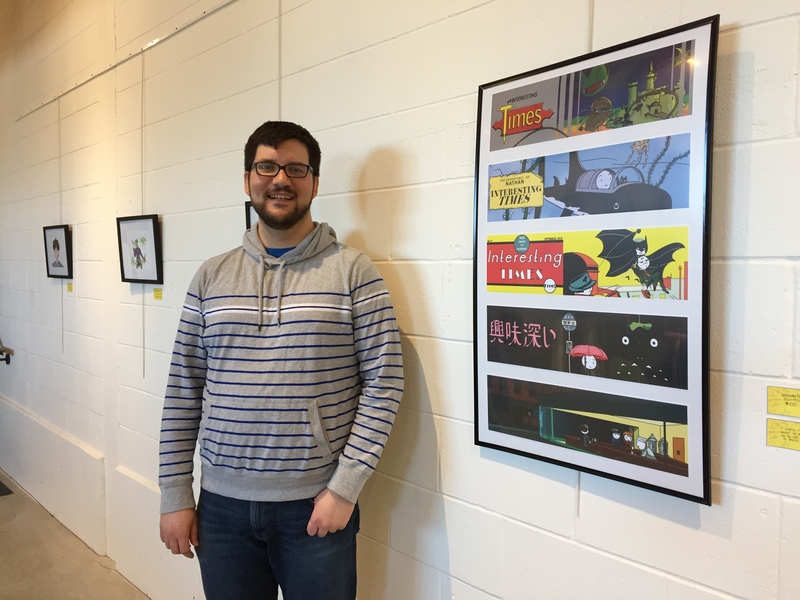 In any case, this month’s exhibition is a showcase of comic and pop-culture-inspired artworks and I was asked to exhibit something! I had some banners printed and framed them up, and I’m pretty happy with the results! Also: I am a real artist now according to that one university professor I had that said only people with work in galleries are artists. If you are in the region it’ll be showing for the rest of the month. 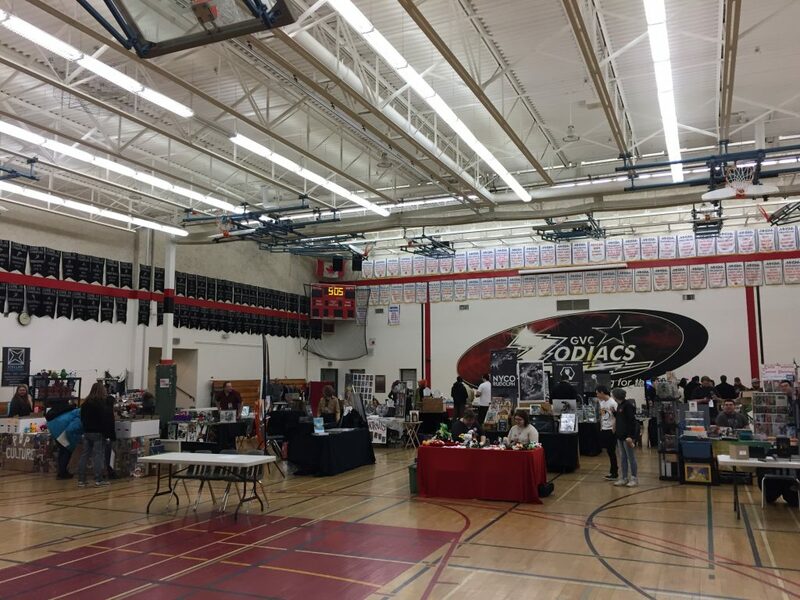 Second: Winkler had its first ever Comic Con today! It may not look like a huge deal, but it was great fun and had a good turnout! 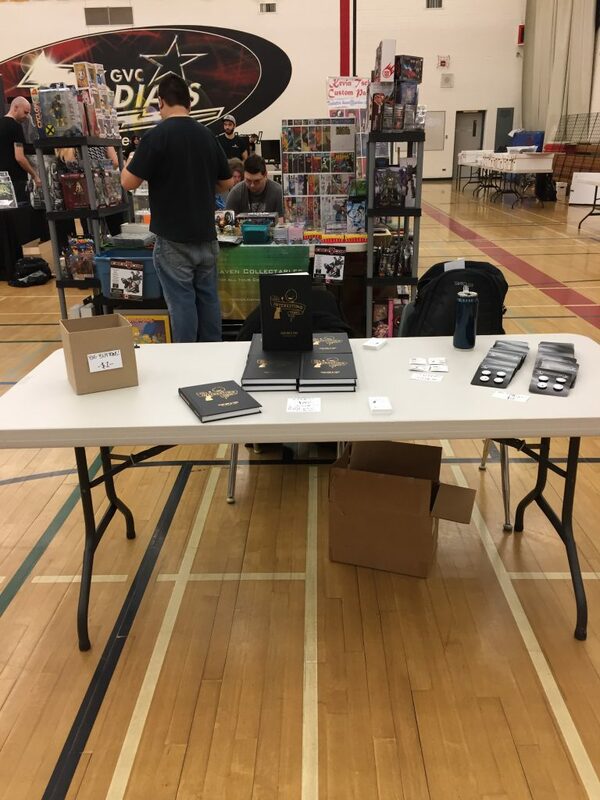 Here’s my sparse lil’ table, but guess what, I still sold a few books and things! 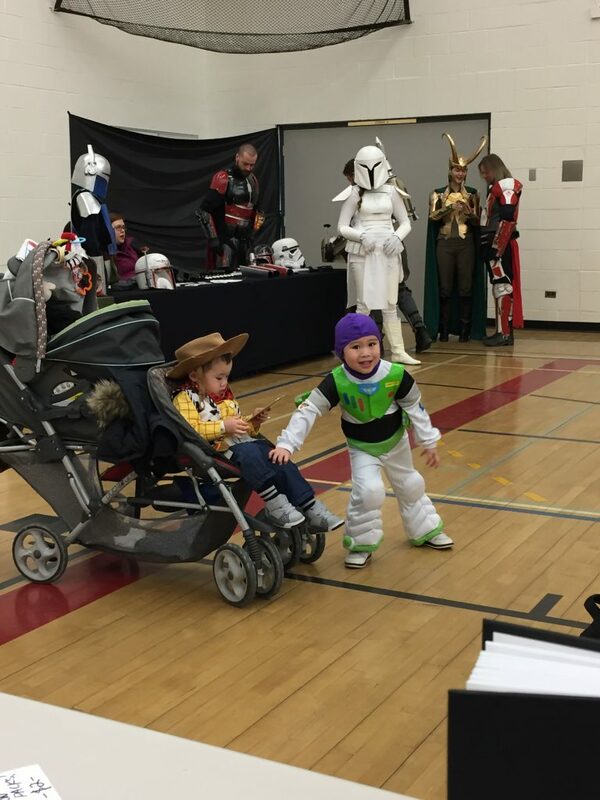 The stars of the comic made a surprise appearance! And so many locals did cosplays that I could not even believe it! Post-funeral, as I started to process and recover I got followup emails from both the gallery thing and the con thing, asking if I was still interested even though I’d missed the deadlines. I took a second look and started to think yeah, I can maybe do this. Deb Penner and Wendy Klassen are the actual best and I really appreciate their patience with me! I knew I wouldn’t have a lot to put on my table, and the con brought in some really talented professionals, so I fought a lot of anxiety and impostor syndrome just to go there and set up. I decided to cosplay somebody who was relaxed and confident, and as the day went on it became so. 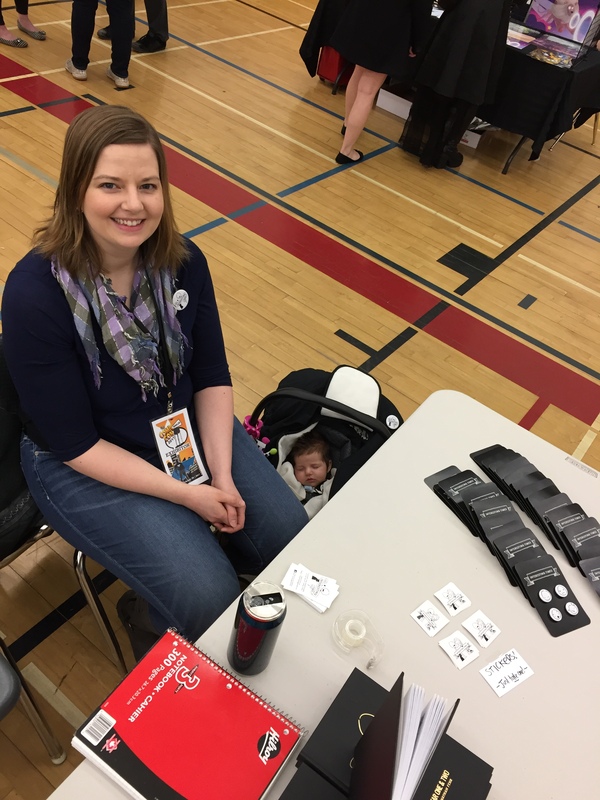 And yeah, sold some stuff and gave lil’ cards with my website to lots of people, and just generally had a great time!